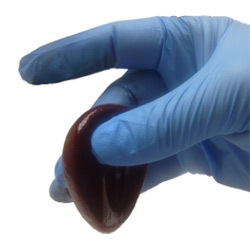 ClotMaster is a revolutionary product line that provides regenerative medicine for tissue repair, and rejuvenation. 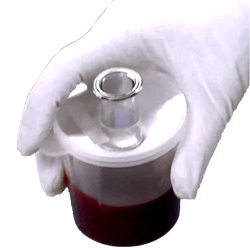 ClotMaster Autologous Fibrin Matrix™ requires no additives or centrifuge, and provides sustained release of growth factors in user-selected densities and microstructure. Suturable Bioscaffold(tm) Dense fibrin matrix with high platelet capture. Select the shape and fiber orientation, forms membranes or highly elastic strips. 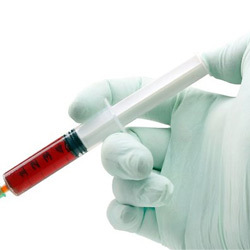 The safe, natural, alternative to PRP and artificial fillers. ClotMaster® creates a liquid fibrin matrix with the full compliment of cells and growth factors. 10 minute prep time. No centrifuge or chemicals required. Cohesive high volume gel that is easy to handle and can be cut into strips, packed into spaces, wrapped around structures. Can be used as a carrier or coating for chips, textiles, and grafts.